All-natural made of 100% whole macadamia nuts with smooth, creamy texture and rich taste. These popular gourmet Macadamia nuts, also called Australian nuts (or Queensland nuts, maroochi nut, Hawaii nut, bauple nut, or bush nut), are originally grown in Australia and are today available all over the globe. Meticulously selected macadamias, prepared fresh without artificial preservatives or any additives. Emphasizing the natural goodness of the nuts in its simplicity, prepared through expertise that bring out the each the nuts nutrients that are way good for the health. 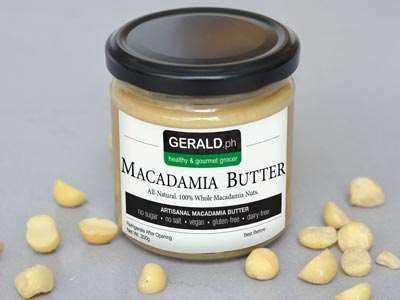 It is packed with essential vitamins and minerals from the macadamias including B vitamins, iron, folate, manganese, magnesium, potassium, protein and amino acids, healthy fats, and the all-powerful antioxidants. Macadamia nuts contain dietary fiber and the compound phytosterols, which help lower bad cholesterol levels and increase HDL or the good ones. 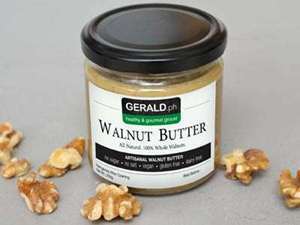 Thus, this nut butter is good for people who give careful attention to their cholesterol. It has rich content of monounsaturated fatty acids that may potentially prevent blood clotting and improve lipid profile, thus reduced risk of heart disease. 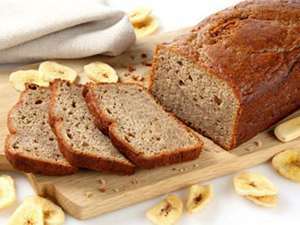 Also, its low levels of sodium, its dose of potassium and unsaturated fats help reduce blood pressure. 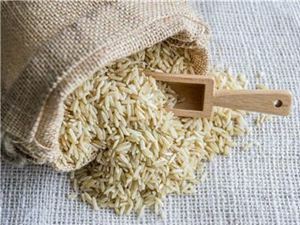 It may help control blood sugar levels as well due to its richness in fiber and the presence of compounds that help improve these levels and counter diabetes effects. It aids in improving bone health as well as it can be a source of magnesium, potassium, and calcium. Add phosphorous to the equation and get your bones and teeth's mineralization. Furthermore, its high content of manganese also helps in preventing bone disease. It can be good for the brain as well with the presence of beneficial acids from the nuts (oleic, palmitoleic), omega-9, copper, manganese, magnesium and vitamin B1. Altogether working for the health of the brain. So you can go nuts over this macadamia nut butter without worrying about the health! Just a little heads-up: it is high in calories, every tablespoon of the butter provides 120 calories. One might need to watch out for the calorie count especially if on a diet regimen.